A crisp autumnal morning greeted Stratford upon Avon Boat Club Junior scullers as they arrived at Wallingford for the first head race of the winter season on Saturday 29 September. 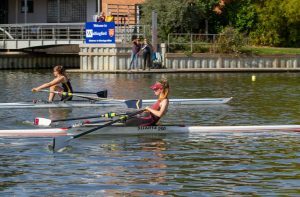 Sculled over 4,250 meters upstream on the Thames, the event attracts entries from many of the top clubs and schools who use it as a selection trial for their winter heads programme. The Great Britain coaches taking notes on the bank gave a clue to the quality of the entry. Stratford got off to a flying start with Fred Tyler powering his way to third place out of twenty two in the Open J16 single sculls event. Fred dug deep to pull off an heroic finish posting the fastest time for the second half of the course. 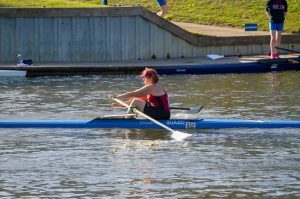 Stratford entered three scullers in the Women’s Junior 17 single sculls event. 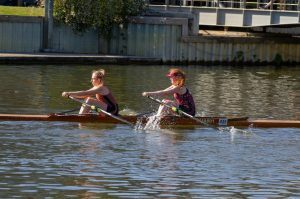 Khloe Curnock and Katie Wellstead were only separated by 2.6 seconds in eighth and eleventh places respectively and Talei Dunn finished a highly creditable sixteenth. Katie recorded fifth fastest time for the second half a very encouraging performance for an endurance event. Molly Gill-Swift and Emily Brown faced girls from the older age group in the Women’s Junior 18 double sculls. 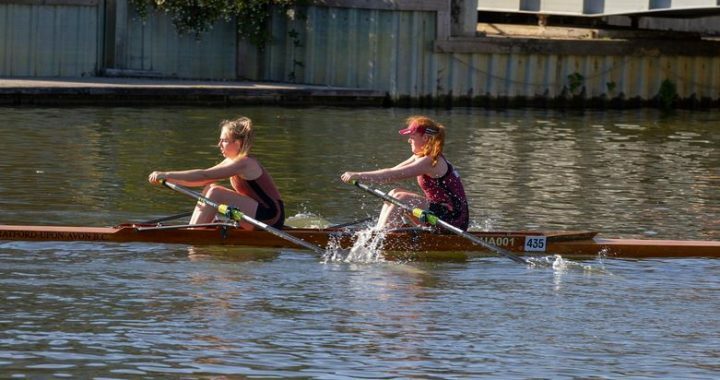 Molly and Emily sculled superbly putting in a typically gritty performance to finish in third place, less than five seconds behind Emanuel beating Wallingford on their own water in the process. Stratford member Joe Hodson represented King Edward VI School in the Open Junior 17 single sculls event. Joe had to contend with an old injury to his arm flaring up in the second half of the race dropping him from twenty third at the half way point to finish in twenty sixth place, so not a result indicative of Joe’s potential. 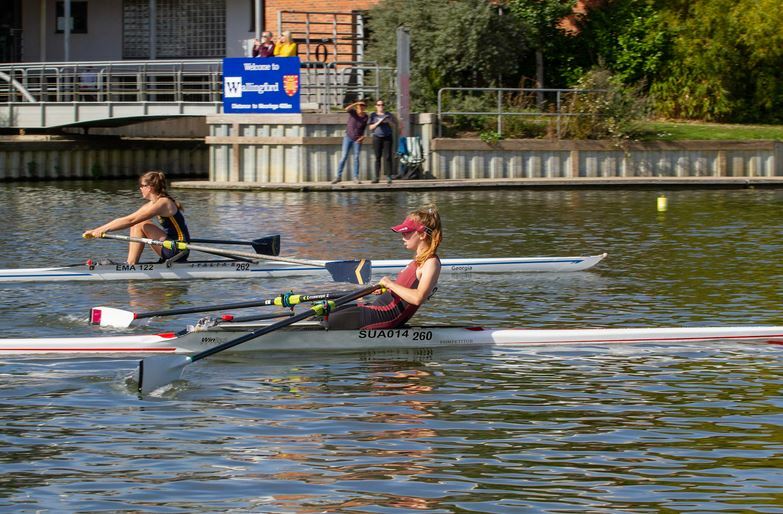 Despite competing at Wallingford for the first time in a single, Mya Kenny rounded off the day’s racing with a very strong performance in the Women’s Junior 16 single sculls finishing in twelfth place beating Evesham to boot by just over a second. 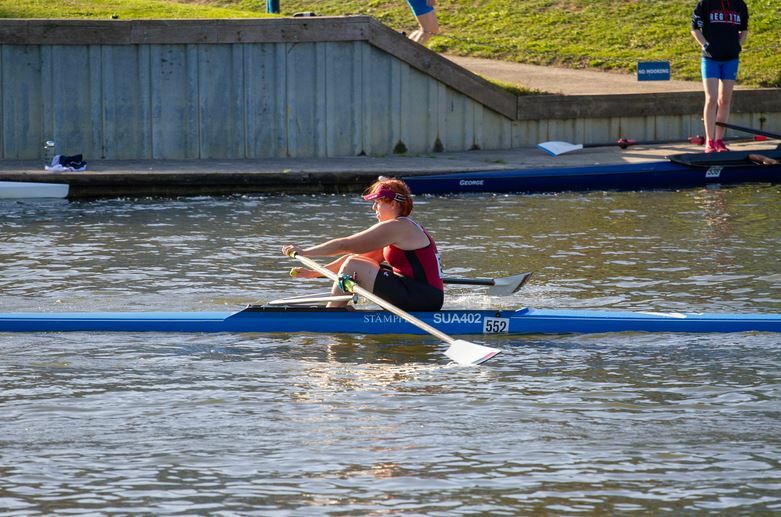 The Masters also had a representation at Wallingford with Christine Goodwin and Tim Lunel racing in their first Head competition as a mixed pair. Under ideal sunny and calm conditions, they had a great row really making the boat run and do the work, knowing how important that is when it gets over 4,000m! It felt like an excellent row and the times showed that in beating their two opposition crews by two minutes including a Masters C crew. Not only that their time of 19:15 bettered three of the six men’s Masters doubles! Posted in News and tagged Long Distance Sculls, Wallingford.